Dreaming and contemplating retiring is the easy and so very enjoyable. But as you get closer to the big day, you need to stay focused. Wrong turns in your financial world can make for big, and costly problems. When you’re about five years away from retiring it’s time to stop and consider moving from an accumulation of wealth mode to protecting what you’ve already built. You don’t have to go it alone. Talking with a financial advisor about your options is one way to build confidence and alert you to potential problems. Decisions about when to take Social Security, how to take your pension if you’re lucky enough to have one, how to make sure you outlive your money, how to protect your savings from taxes, inflation and long-term care costs can often be overwhelming and should be considered well in advance of letting your employer know your last day of work. An income plan that assures that you never run out of money. If you do not have a pension through your employer, your advisor will help you create a steady income stream. A protection plan to preserve your investments in the event of a chronic illness, death of a spouse or any other unpredictable event that can have a catastrophic impact on your retirement savings and goals. A growth plan that reduces portfolio risk and is a hedge against inflation should the market experience one of those cyclical downturns while you’re making withdrawals. 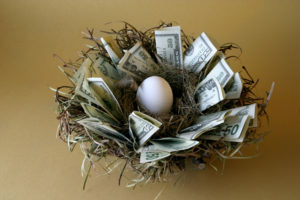 A tax plan that efficiently protects your hard-earned nest egg from encroaching taxes. Most people think their taxes will be lower in retirement but that may not be true. Your advisor can guide you in how and when to withdraw from your investment accounts with a proper strategy to preserve assets. An estate plan that includes leaving a legacy for your family, gifts to charities and friends is a critical must have. Don’t forget to regularly review your plan and beneficiaries. Doing this will protect your loved ones from having to make tough decisions during the difficult time after your death.